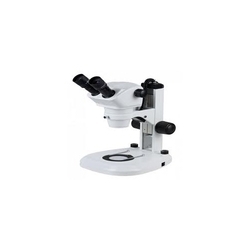 Manufacturer of a wide range of products which include h 600 am al/dl 50, hund industrial microscope and high resolution electron microscope. 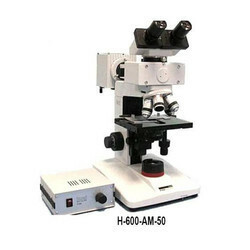 The microscope H 600 AM for incident and transmittedlight can be used as a mere incident-light microscope witha set of corresponding EPI-objectives as well as a transmitted-light microscope for the investigation of transparentmaterials or powders. 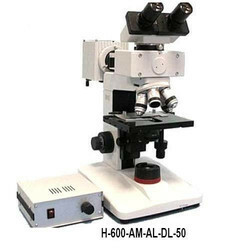 Customers have favored our firm for offering H 600 AM 50 Hund Industrial Microscope in several provisions. Solid, heavy cast-metal stand, rectangular shape for high expandability. Maximal stability guarantees smooth microscopy. Quadruple nosepiece - quintuple nosepiece available as option. Looking for Hund Industrial Microscope ?